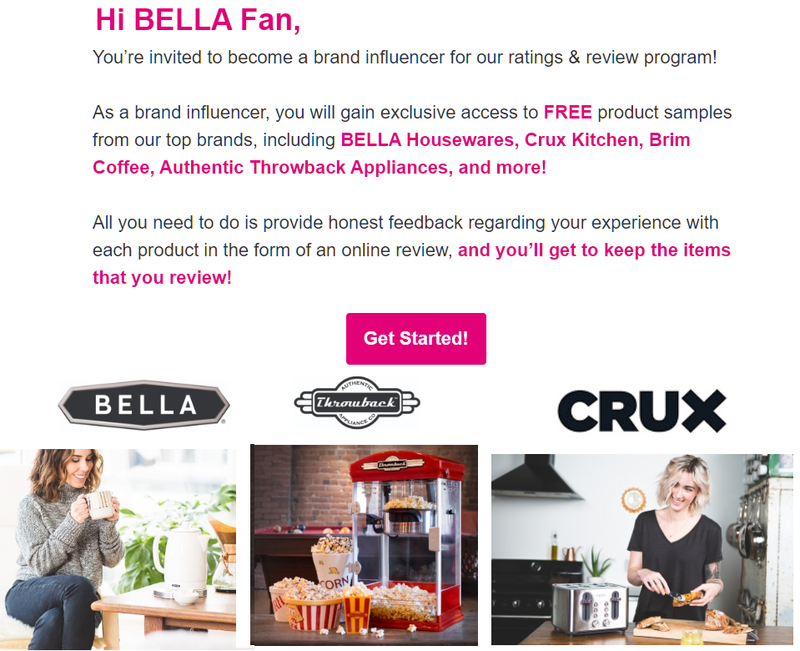 Free Bella Kitchen and Housewares Products, Brim Coffee Products and Throwback Appliances From Their Try and Review Program. They are looking for people to try their products and leave a review. They will send you the items and you get to keep them for free! They have had this panel in the past and people received coffee makes, toasters, popcorn makers, griddles, blenders and so many more items. This is a great one so make sure to sign up now!! And you are done, just send your email and that is all.